President Barack Obama is set to come to Columbus on Tuesday, following former President Bill Clinton’s visit scheduled for Saturday. Both are campaigning for 2016 Democratic presidential nominee Hillary Clinton. Details on Bill Clinton’s visit were released on Friday. The time and location of Obama’s visit have not yet been released. 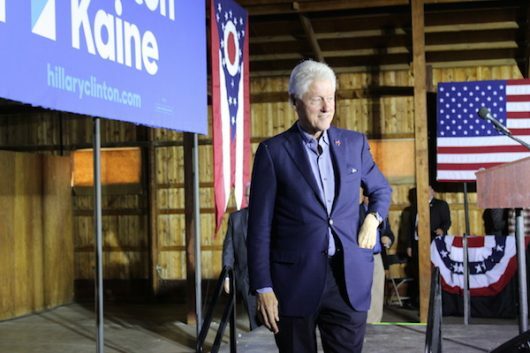 Bill Clinton’s campaign stop — to be hosted by Rep. Joyce Beatty, a Democrat representing parts of Columbus which include Ohio State’s campus and the University District — is part of a multi-state tour encouraging Ohioans to vote, and vote early, as the Nov. 8 election date nears. The rally is scheduled to be held from 1 – 3 p.m. at the King Arts Complex at 867 Mt. Vernon Ave., according to a release from Beatty’s office. Clinton will be joined by members of the Congressional Black Caucus, Columbus Mayor Andrew Ginther, Children’s Defense Fund Founder and President Marian Wright Edelman and former Ohio Gov. Ted Strickland, who is currently running for one of Ohio’s seats in the U.S. Senate against incumbent Republican Sen. Rob Portman. 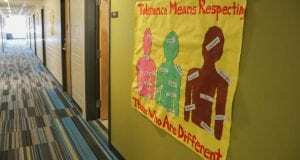 The CBC and Beatty are also expected to visit with minority small-business owners in Columbus and members of central Ohio’s Somali population. Those interested in attending the Bill Clinton event can RSVP on Hillary Clinton’s campaign website. Bill Clinton’s visit follows his daughter Chelsea Clinton’s stop in Grove City on Wednesday. The former president visited Delaware County, north of Columbus, on Oct. 14. Obama was last in Columbus as the keynote speaker for the Ohio Democratic Party’s annual state dinner on Oct. 13.